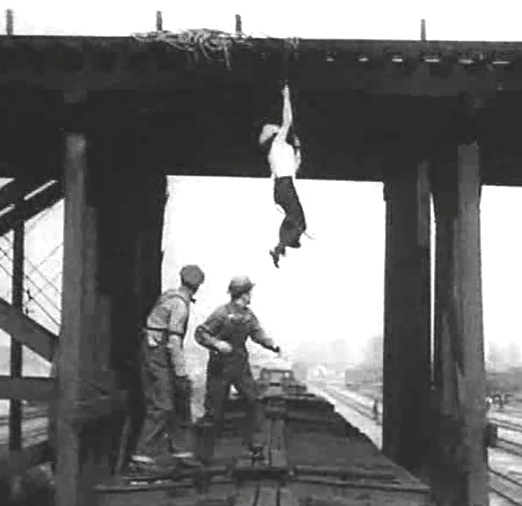 "The Escape on the Fast Freight" directed by Paul Hurst from a story by Edward T. Matlack, is a short action film from a serial by the name of "The Hazards of Helen" starring Helen Holmes. This is episode 13 from a total of 119 weekly one reel films produced by Kalem, showing just how popular this serial was in 1914-1917. The first 48 films starred Helen Holmes, the remaining 71 starred Helen Gibson. They both played heroines that were independent and adventurous, resolving dangerous situations with quick thinking. Their acting was very physical and they performed their often very dangerous stunts. It is believed to be the longest film series in the silent era and one of the longest ever. Very few of the films survive, and we are happy to be able to show this rarity to our esteemed viewers. 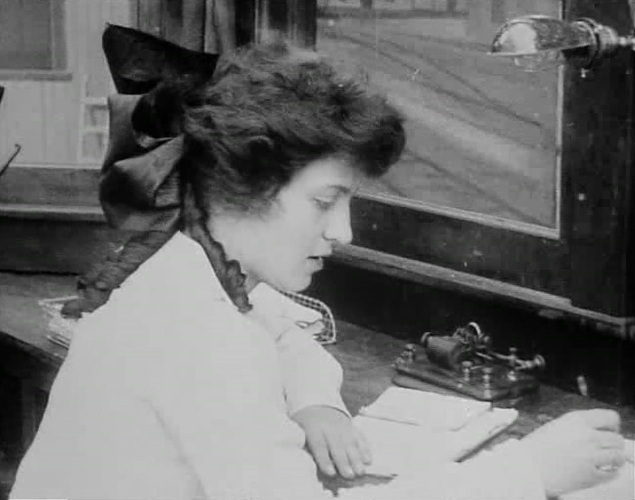 Helen Holmes is at work in "The Escape on the Fast Freight" (1915). 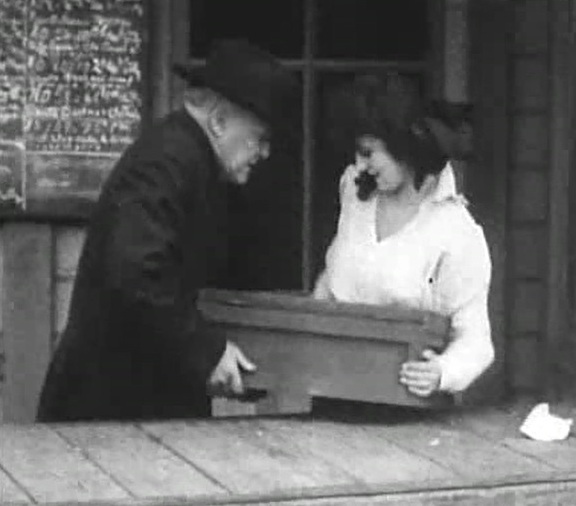 Helen Holmes and a cop unload a heavy box and she drops the receipt in "The Escape on the Fast Freight" (1915). 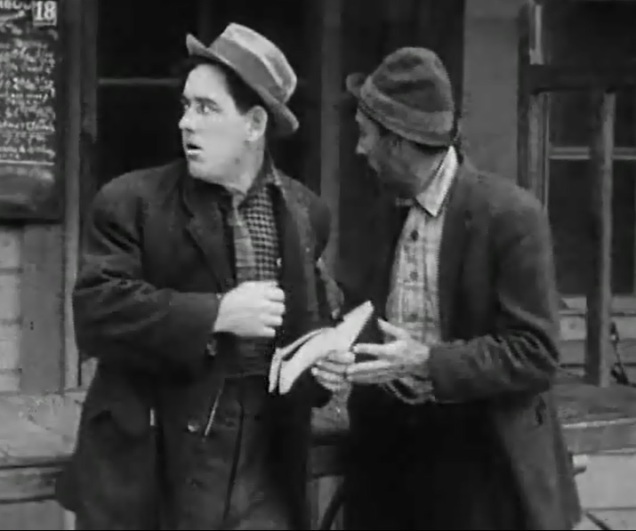 Two drifters find the receipt in "The Escape on the Fast Freight" (1915). 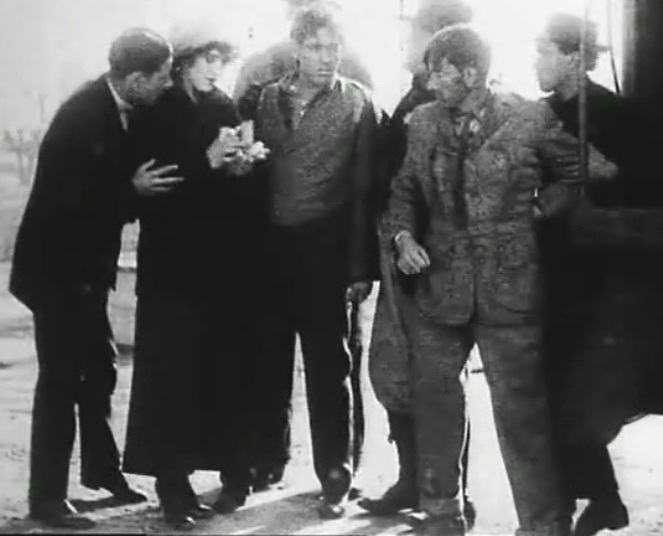 Helen Holmes is attacked by the two drifters in "The Escape on the Fast Freight" (1915). 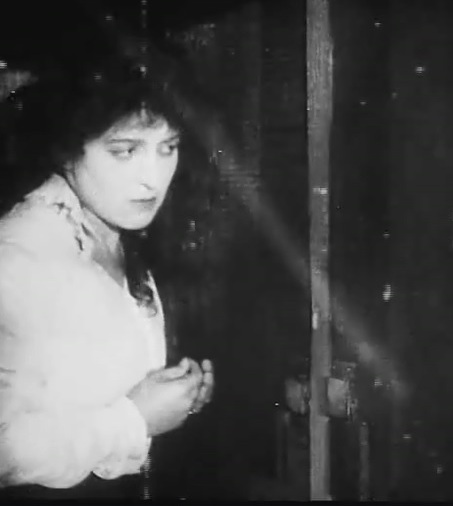 Helen Holmes is locked in a dresser in "The Escape on the Fast Freight" (1915). 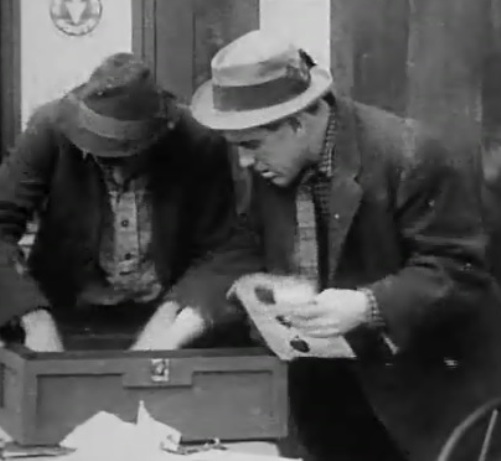 The drifters steal the money in "The Escape on the Fast Freight" (1915). 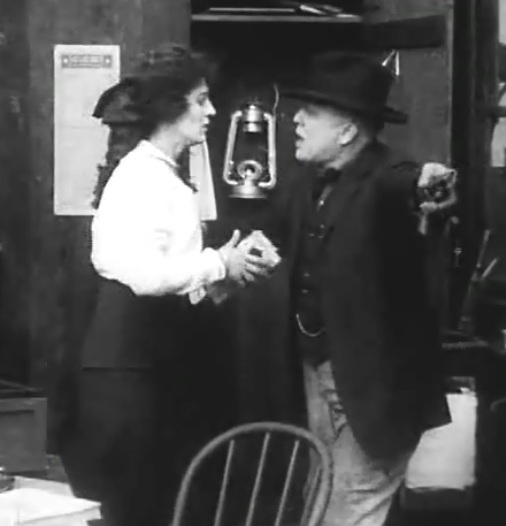 Helen Holmes calls the cop for help in "The Escape on the Fast Freight" (1915). Helen Holmes loses her job in "The Escape on the Fast Freight" (1915). 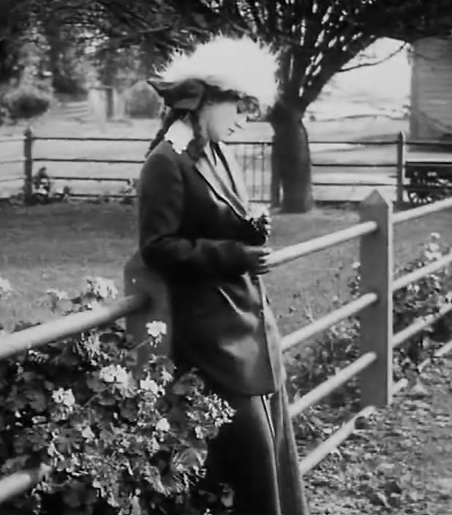 Helen Holmes is sad for losing her job in "The Escape on the Fast Freight" (1915). Helen Holmes sees the two drifters and gives chase with dangerous stunts in "The Escape on the Fast Freight" (1915). 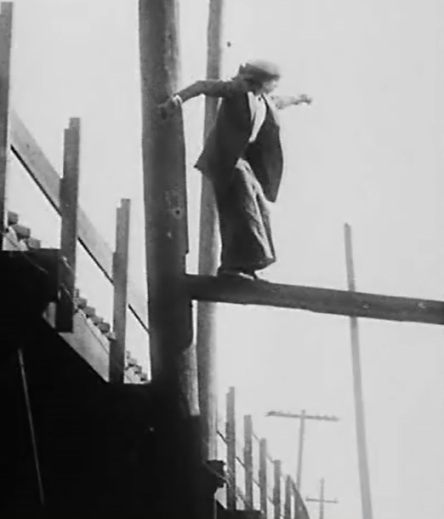 Helen Holmes jumps on a moving train in "The Escape on the Fast Freight" (1915). Helen Holmes is ready to stop the bad guy on top of the moving train in "The Escape on the Fast Freight" (1915). Helen Holmes tackles the bad guy from the front on top of the moving train in "The Escape on the Fast Freight" (1915). Helen Holmes tackles the bad guy from behind on top of the moving train in "The Escape on the Fast Freight" (1915). 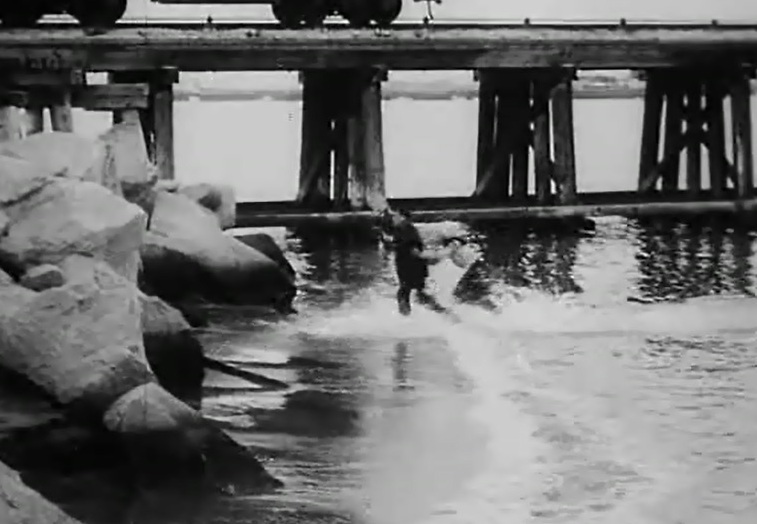 Helen Holmes tackles the bad guy in the river in "The Escape on the Fast Freight" (1915). 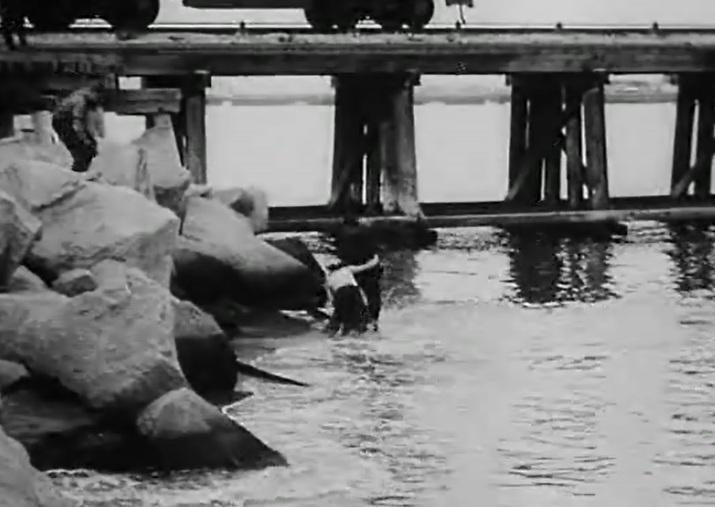 Helen Holmes tackles the bad guy in the river as a cop watches from above in "The Escape on the Fast Freight" (1915). Helen Holmes recovers the stolen money from the bad guys in "The Escape on the Fast Freight" (1915). 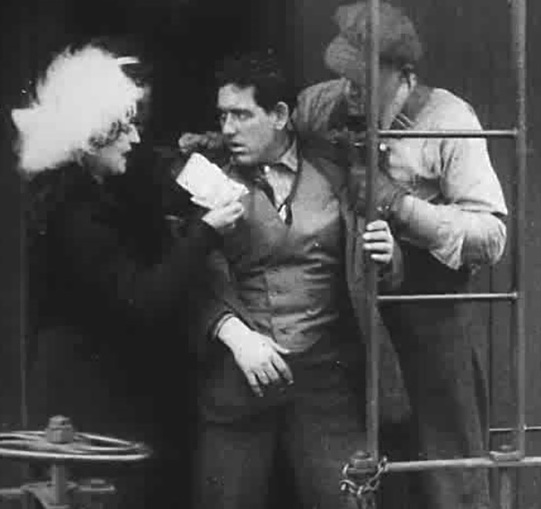 Helen Holmes has the recovered money and the bad guys are arrested in "The Escape on the Fast Freight" (1915). Helen Holmes is back on her job in "The Escape on the Fast Freight" (1915).